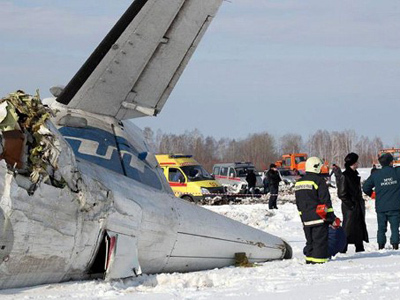 A technical failure is emerging as likely as investigators continue looking into a passenger jet crash that took 31 lives in western Siberia on Monday. A possible terror attack has been ruled out. An ATR-72, carrying 43 people, vanished from radar a few minutes after takeoff Monday morning. Ground control at the airport in the Siberian city Tyumen tried to contact the cabin crew following the craft’s disappearance, but received no answer. One survivor has been transferred to Moscow for treatment. Eleven others have already undergone successful operations in a Tyumen hospital. Their condition is serious but stable, and they are receiving around-the-clock care. So far the bodies of 26 victims of the crash have been identified; 142 grieving relatives have sought counseling. The plane’s flight data recorders, commonly known as black boxes, are being decoded in Moscow. According to the latest data received from the black boxes, the plane lurched from one side to the other immediately prior to the catastrophe, reports Interstate Aviation Committee. “After the take-off the gained altitude of about 210 meters, when it first lurched to the right side about 35 degrees, then a lurch to the left followed, reaching over 50 degrees at the moment of impact with the ground,” says a message on the IAC website. It also says the plane’s engines were working till the last moment. 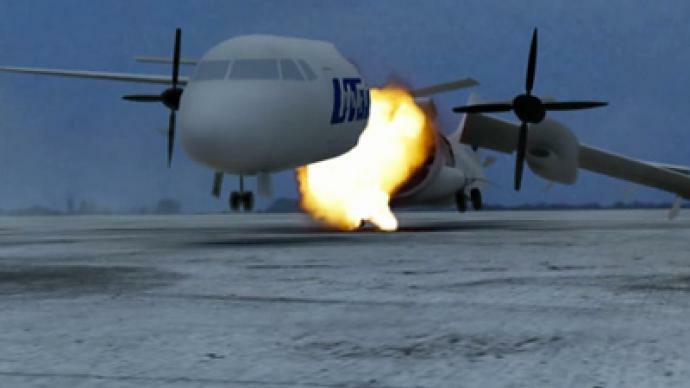 The UTair Company operating the aircraft says the pilot attempted an emergency landing. Meanwhile, investigators working at the scene speak more and more confidently of technical issues as the main possible cause behind the tragedy. The assumption is based on eyewitness reports, which say smoke was coming from the plane’s engines just before the crash. "This version of events is also supported by the fact that the crew turned back to Tyumen Airport almost instantly after takeoff,” says Investigative Committee spokesman Vladimir Markin. Pilot error and ground control mistake scenarios are still on the table. Reports have emerged that the plane was not de-iced prior to takeoff. 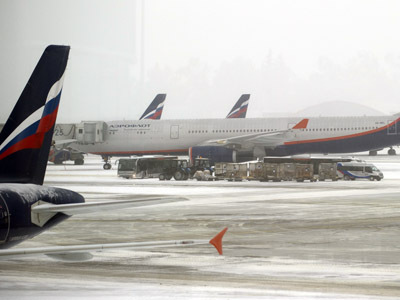 The possible blame for this shifts from the airport and UTair staff, who might have failed to clean the plane of ice and spray it with anti-freeze reagents, to the pilots, who reportedly declined the procedure. 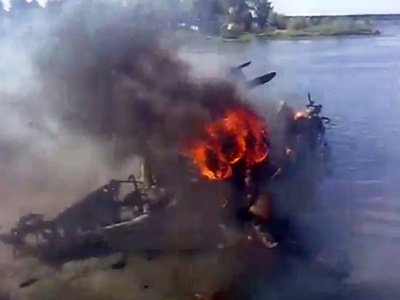 The Interstate Aviation Committee also says no traces of alcohol have been found in the pilots' blood samples. The crashed ATR-72-200 plane was registered in Bermuda. Two days of mourning have been announced in the city of Tyumen on April 5 and 6.